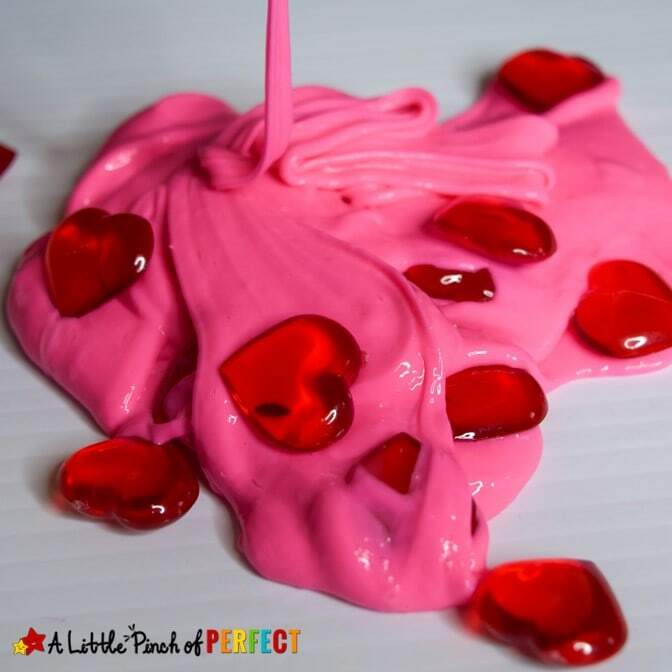 Get ready to celebrate Valentine’s Day with slime! 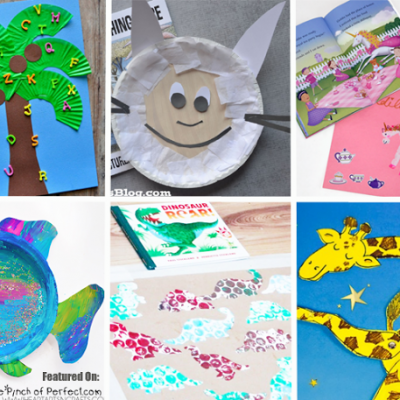 I’m guessing your kids love slime as much as mine do. Seriously though, what’s not to love? 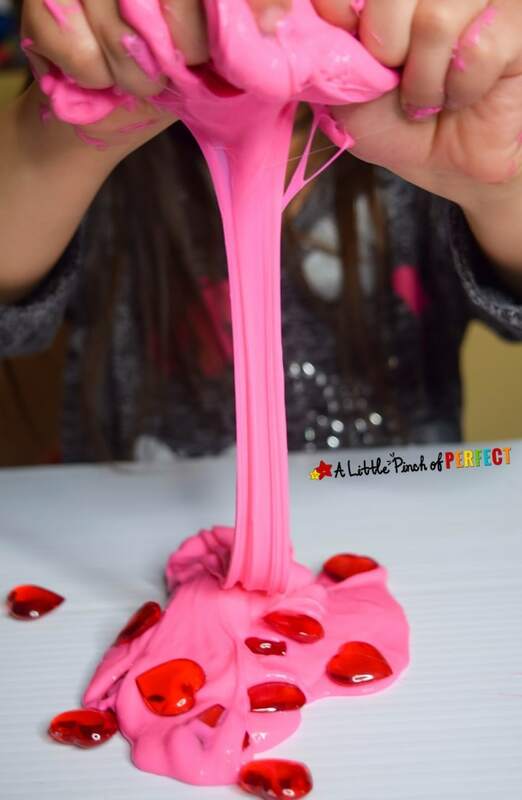 This slime recipe has all the good qualities of any favorite slime like soft, stretchy, and not sticky. 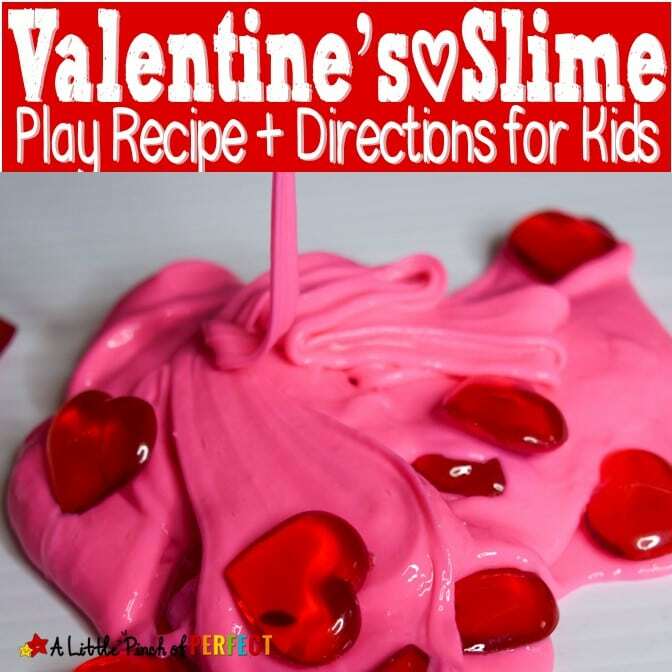 I have seen some kids pass out Valen-slime cards, this slime recipe would be perfect to go along with them. My kids made their slime with little supervision. Please remind your kiddos that slime is not to go in their mouth and should stay off clothes as much as possible. My little guy always seems to end up with slime somewhere on him so I toss his clothes in the washing machine as soon as I notice and it comes right off. 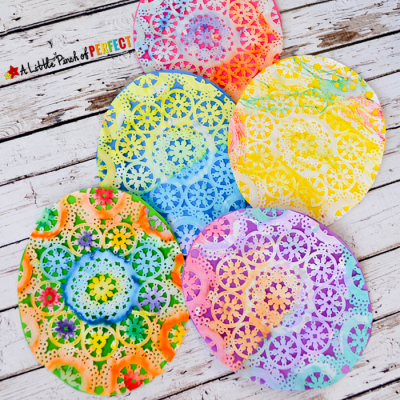 Heat up the water on your stove or in your microwave. I put mine in the microwave for one minute. Make sure is is warm enough to dissolve the borax, it does not need to be hot or boiling. Add 1 tsp of borax and stir until it’s dissolved. 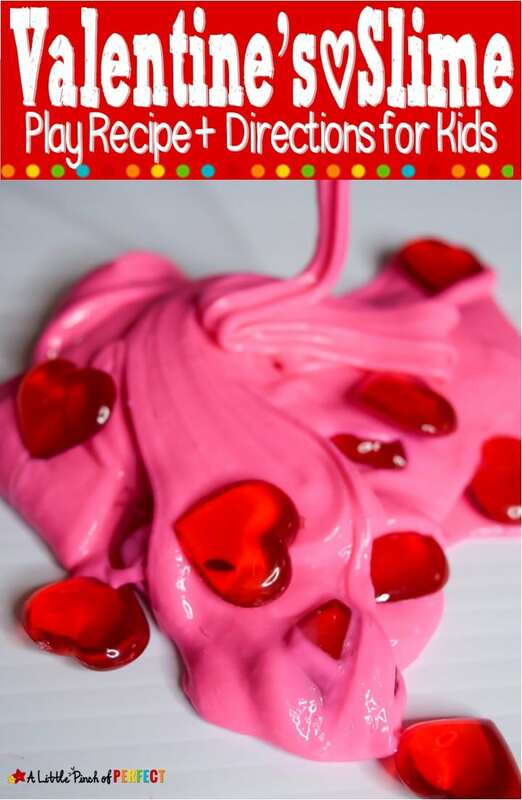 In a separate bowl pour the 1/2 cup of glue, 1/2 cup shaving cream (it makes it fluffy), 2 squirts of lotion (optional–it makes it stretchier), and 1 tbs cornstarch (it makes it thicker). Mix the ingredients until they are combined and smooth. 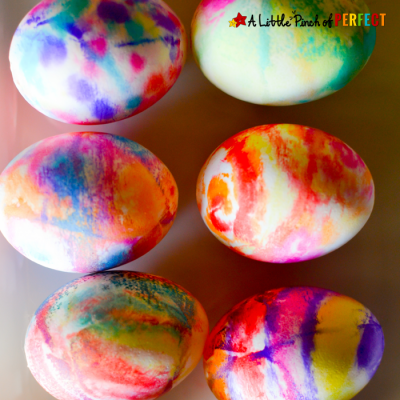 Add in your food coloring and mix until the color is even. Some slime recipes call for an exact amount of borax solution but those recipes always failed me. 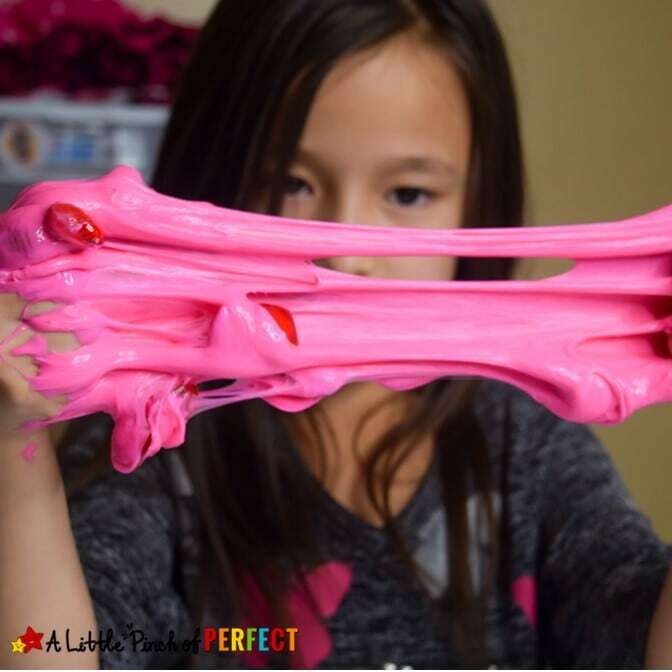 Here is the trick I found–add one tbs of borax solution to your slime recipe at a time. This allows you to decide what consistency you want your slime. As you add in the borax the slime will begin to thicken and eventually release from the sides of the bowl–ta-dah! You have Slime!!! The more borax you add the harder the slime will get. 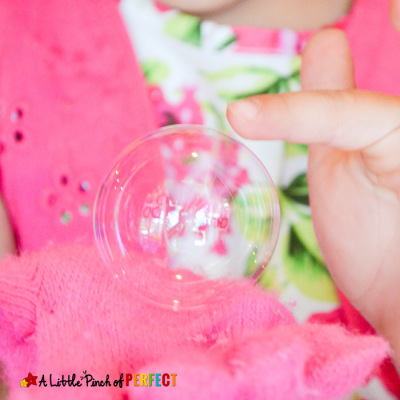 There is such thing as too much borax so be patient and make sure to mix it all in before playing with it. We usually add around 6-8 tbs to each batch of slime. You can store it in an airtight container to play with over and over again. We added some plastic heart gems to make it more Valentine’s-ish, and if you fancy add some glitter to give it some sparkle. We hope you have a Happy Valentine’s Day! Thanks for playing with us.